So it is me or is this year flying by?? How is it 2 days from MAY already? 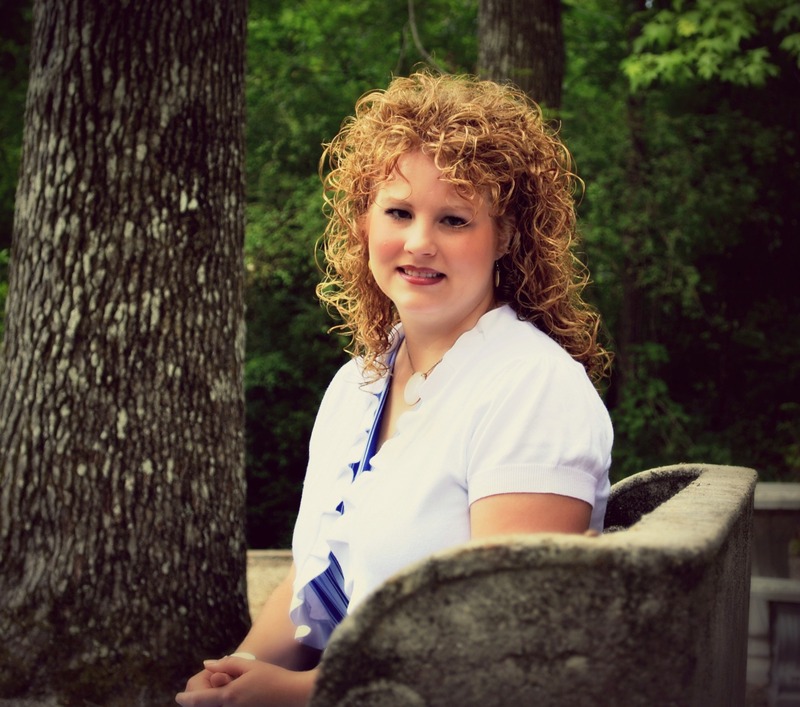 In some ways it is going by too fast and in many other ways not fast enough. Started out March posting a collection of 20+ Spring projects. I was itching for spring but little did I know spring was going to be a LONG time coming this year. 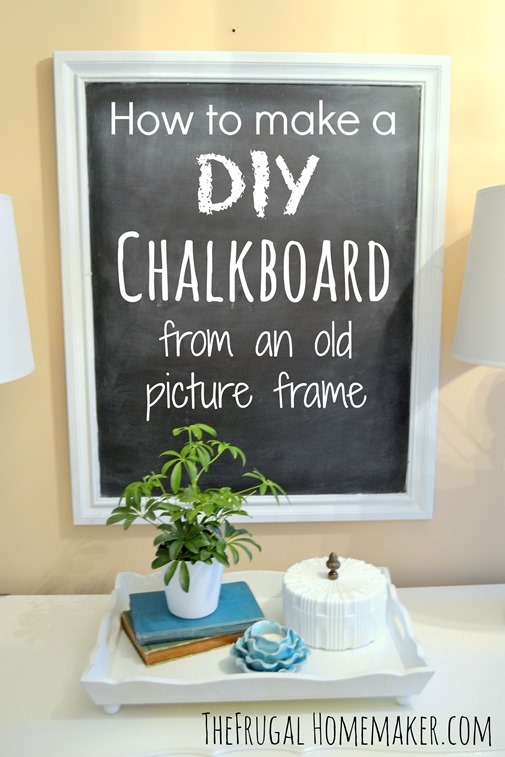 Then I shared how I made a DIY chalkboard from a thrift store frame. 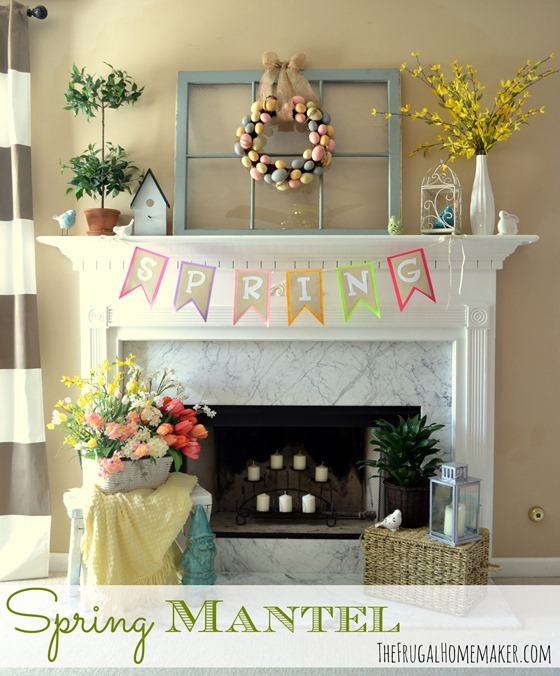 I decorated my mantel for spring. 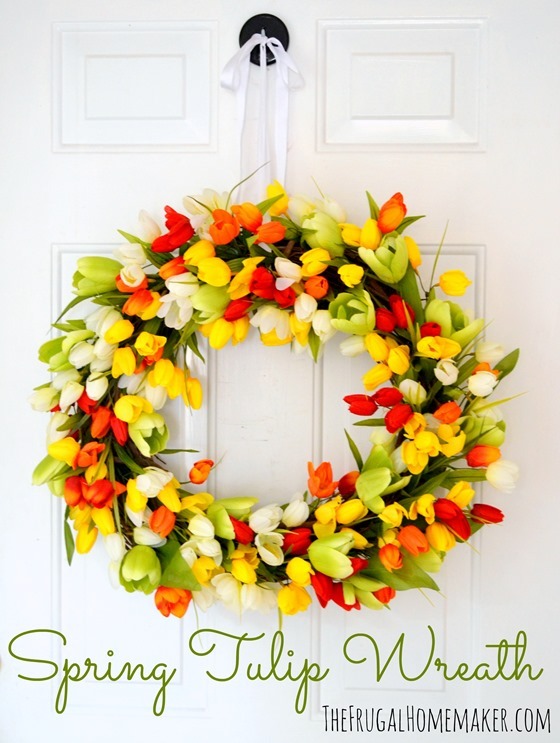 And made a Tulip wreath perfect for spring! And I have also been working on organizing and purging! 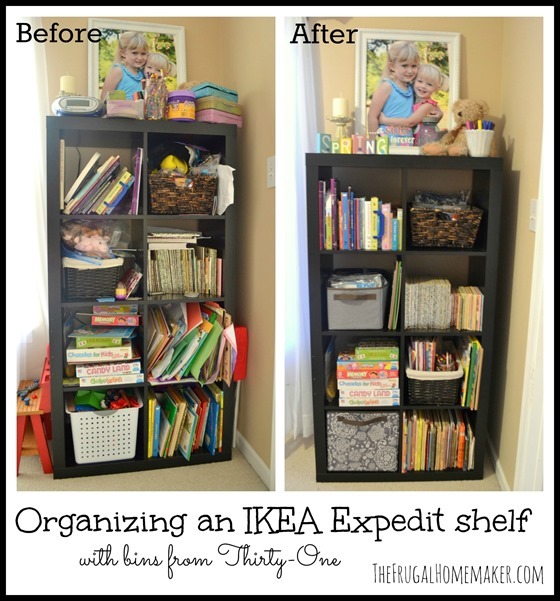 Used some new products from Thirty One to organize this Ikea shelf. Continued sharing rooms in our home- this time the entryway. I LOVED your comments and suggestions on this post. I am keeping my eyes peeled for just the right rug with a pop of color and trying to decide which option to do with the lamps. Christa from Brown Sugar Toast shared a fun felt flower tutorial on the blog. Love dressers for storage in the home. 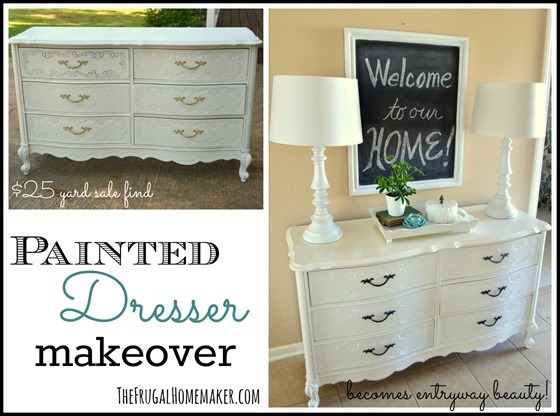 Here is the before and after of the painted dresser you see in my entryway. I helped my nieces and nephew create some trinket boxes. I am so loving these pillows outside on my bench! They are so cheery to greet me as I come home and back into our home. 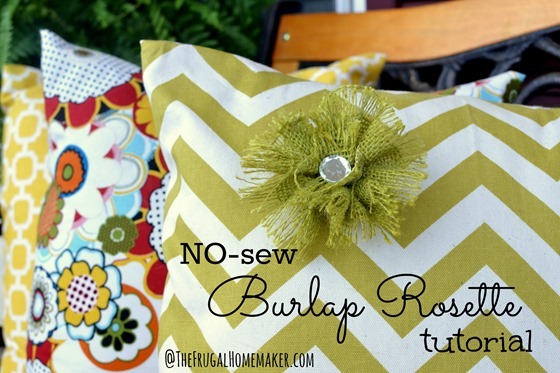 I showed how I made a no-sew burlap rosette – easy and pretty! And Christa was back with another great tutorial on how to make this rolled fabric flower ring. 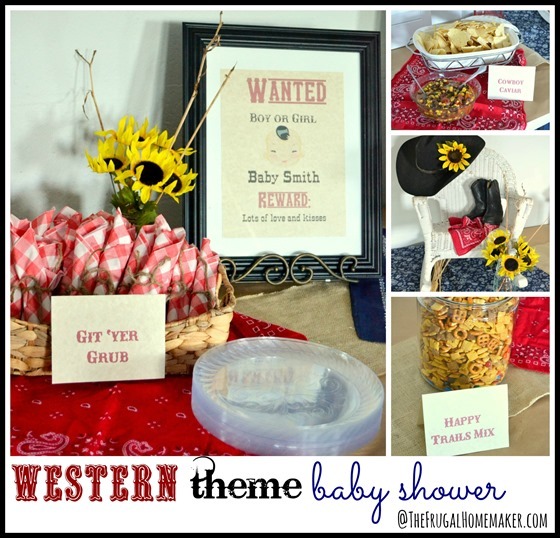 I helped decorate and host a Western theme baby shower at church last week and shared the fun décor and food. Another bonus point if you are still reading this post. 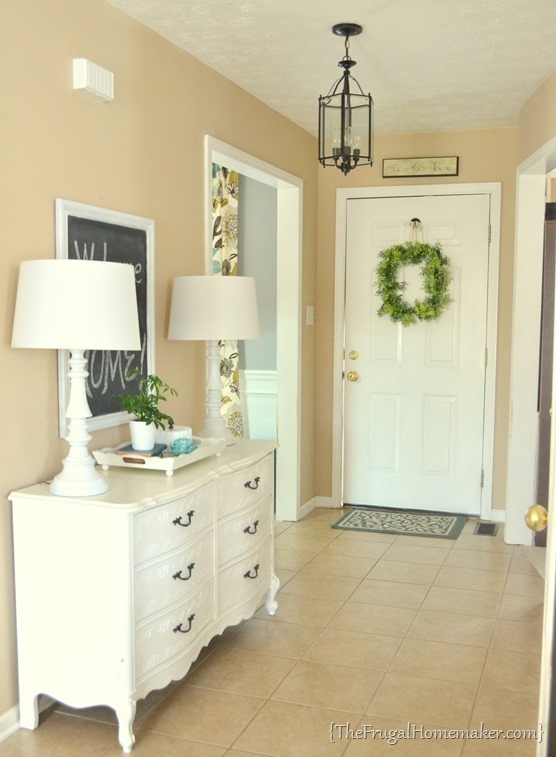 My favorite post of the month – probably my entryway home tour post because you guys had some great ideas and have really helped me to nail down what I want to do – now to just find the stuff I need and make it happen. Can’t wait to show you a fun before/after of a recent yard sale find on Wednesday. See you back then! So did you miss any posts? How many bonus points do YOU have from this post? I managed to see all the posts for March & April! :O) They were all great and filled with so many good ideas, but I think my favorite would have to be the post about the tulip wreath. I LOVED that wreath and the wonderful colors! Always look forward to your posts….. I read all your posts when you posted. 🙂 I get bonus points!!! 😉 Love all the projects you’ve done!!! Great work! I get bonus points since I too read all of the posts when you posted them. 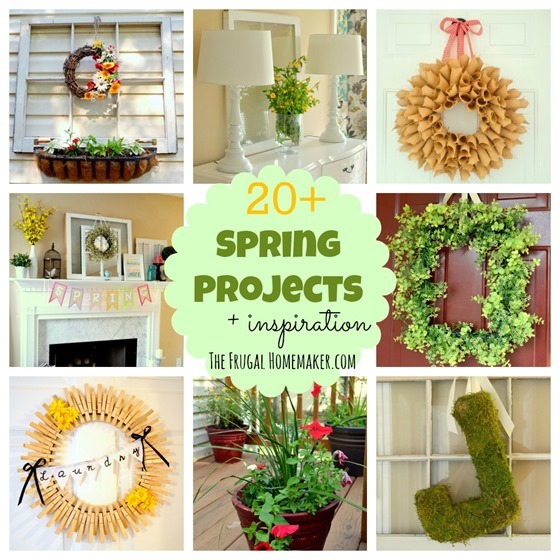 I loved the tulip wreath and plan on making one myself someday. 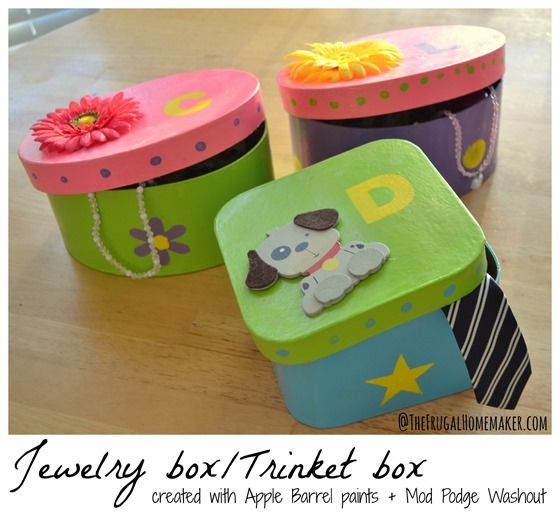 I also pinned the post where you made the trinket boxes with your nieces and nephew so that I can make some with my grandkids 🙂 Thanks for sharing!! in news papers but now as I am a user of internet therefore from now I am using net for content, thanks to web.